Make an Impact. Change Lives. citizens, young and old, can live productive, healthy and whole lives. City Impact Center is with J.R. Huerta Jr George and Sara Caruso. What a beautiful day planting at the Sonshine Garden. Many wonderful volunteers from MGM & Caesars Palace, as well as Trinity Life Center, showed up for an amazing day of gardening. Presented by Family Life Solutions and Marriage Builders—We invite you to join Pastor Vic and Sara, along with the Marriage Builders Team, for this special marriage seminar. Spend the evening with your spouse learning valuable tools that will help you build a stronger, thriving marriage. This seminar is open to 25 couples. A beautiful meal will be provided. Pastor Mike will have an activity planned for the kids! January 30th, Trinity Life Center's regularly scheduled Wednesday night service will be shared with Mike Bartel of FREE International, one of our City Impact Center partners. With the Super Bowl coming up this weekend, Las Vegas is a hot spot for trafficking and exploitation of missing children. Impact Urban Night School is here on our City Impact Center campus. We have partnered with the Adult Literacy Program from the College of..
An affordable, safe and secure environment to low income seniors to encourage, challenge, and motivate them in areas of health and living in a community….. 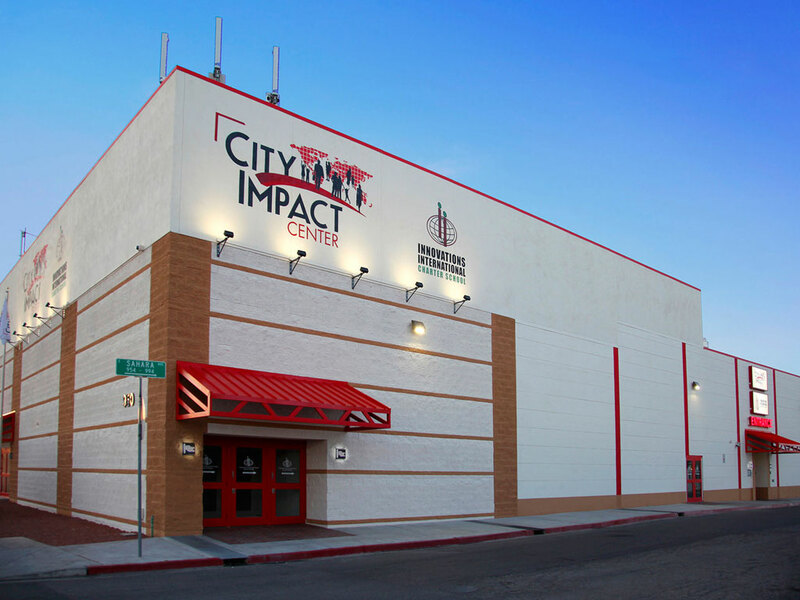 The City Impact Center is by providing on-site access to programs, education, housing, and wellness organizations that ensure citizens, young and old, can live productive, healthy and whole lives. City Impact is a 70,000 square ft. campus that helps people of all ages and backgrounds in a variety of areas. City Impact After School Program (CIASP) gives its students a safe haven during the “danger zone” hours of 4 pm – 6 pm. The time of day when youth violence, drug use, and other delinquent behaviors are most likely to occur. We provide effective and thoughtful support to fight against high school drop-out and to ready our students for fulfilling careers in the modern workforce. City Impact’s Mission is to impact communities by providing on-site access to programs, education, housing and wellness organizations that ensure citizens, young and old, can live productive, healthy and whole lives. COPYRIGHT © 2015-2018 | CITY IMPACT CENTER | ALL RIGHTS RESERVED. Jeff is Chairman of City Impact Industries and Board Member at City Impact Center and volunteers as Director of Business Development and Technology while serving on several other non-profit organizations as well as consulting for emerging technology companies. 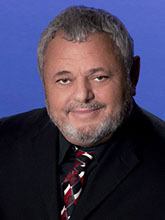 Retired as Chief Technical Officer of Switch Communications and is one of the original members of the premier data center and Network Access Point. Jeff was Field Administrator for the pho-tonics research team, of Lawrence Liver more Labs and the Nevada Test Site using high-speed Electra-optic systems for the Department of Energy, he contributed to experiment planning with a team providing data acquisition and diagnostics for specialized weapons systems. He worked in conjunction with the Small Business Administration supporting companies such as Motorola, DOE, DOT, US Bureau of Reclamation, Department of Forestry, and Lawrence Liver more Laboratory. In 1993 he formed the first Internet Service Provider (ISP) in Nevada, helping establish some of the first high-bandwidth services to governmental and commercial organizations in the Southwest. He also served on the VAR advisory council for Netscape and assisted several ISP’s and web productions companies get started and grow. Designed the City of North Las Vegas fiber plan, was manager of the broadband R&D Lab at a national CLEC, and helped build a statewide fiber network for the power company’s network services subsidiary. Jeff is married and has lived in Las Vegas for over 30 years. Scott is a third generation Roofer/Contractor whose family business, Howard Roofing, started in the Las Vegas valley in 1959. Until 1986, when his family sold the business, Scott held the role of project manager at Howard’s Roofing. 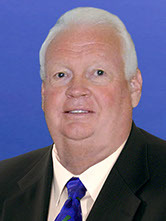 After the sale Scott became Manager for the Las Vegas office. In November 1996 he and Dennis Conway purchased and renamed the company Commercial Roofers, Inc. returning the business to local ownership. 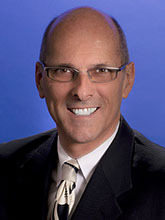 Currently, Scott is a trustee with the Oral Roberts University, in Tulsa, OK where he received his Bachelor’s degree in business. A graduate of the Chamber of Commerce’s “Leadership Las Vegas” program and has served in the past as a Trustee, Chairman and Treasurer for the Desert Southwest chapter of the National Multiple Sclerosis Society, and a Trustee of the Las Vegas Metro Police Neighborhood Watch. Vic has been a permanent fixture in the neighborhood of the City Impact Center for the past 48 years. He attended school next door at John C Fremont, was married five blocks away, lived three blocks away to what is now City Impact Center. He worked on the Las Vegas strip for 27 years. Currently, the Executive Director of City Impact Center, Vic oversees the day to day operations and has been personally responsible for establishing the partnerships that serve the community through City Impact Center. Working closely with city hall, metropolitan police department (downtown area command) and convention center command, businesses and the local agencies in the neighborhood, his heart and love is for the neighborhood. It is his desire to see this neighborhood, once the heart of this city, reestablished and redeveloped to see houses filled with families and businesses slowly coming back. Vic has been married to his wife Sara for 44 years. He has four adult children that help him on many levels with the activities and events at City Impact Center. Vic’s heart and life belong to the communities of the City Impact Center. He’s the happiest man on earth with the greatest job there is. Rev. 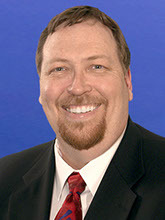 Randy Greer graduated from what is now Vanguard University in 1978. He was then drafted by the Philadelphia Phillies and was paid to play baseball for three years in their organization. He then worked for the next ten years as a Youth Pastor in the urban sprawl of Los Angeles. For the past 24 years he has been pastoring Trinity Life Center, implementing strategies to improve the heart and soul of the community in the city of Las Vegas. With this in mind, the vision for City Impact Center became a reality. What began as an after-school program for inner-city children, a food bank, low income Senior housing and two medical centers has now grown to include a Charter school, an Adult night school in conjunction with the College of Southern Nevada, an Urban Garden, a Job placement center, and a job training center. Other strategic efforts to improve the lives of the people in our community are on the drawing board. Randy’s vision dove-tailed beautifully with what Elizabeth Gallagher had been dreaming about for years, and none of this could have been possible without her determination to make a difference and the extraordinary abilities of Director Vic Caruso to see these dreams materialize into something significant since 2007. Randy has been married to the love of his life, Pamela, since 1976, and they now have three adult married daughters and four grandchildren with another one on the way!